Just like you would be concerned about your own nutrition, it is important to that you keep an eye on your dog’s nourishment as well. Are you feeding your dog the right food? Did you know there are ingredients that your dog should avoid at all times? Worry no more as we have the answer to all your queries. Dogs will eat almost anything that even slightly resembles food. Which is why they often tend to fall sick and you need to drive to the vet. It is therefore very crucial that you keep a keen eye on your dog’s diet and never allow it to eat the foods that are harmful to them. There are certain food items that are suggested by vets which your dog should avoid at all times. Vets tend to offer a list that has all the food categories that you must remember to keep away from your dog as a responsible owner. You must stop your dog when they try to sniff around these food categories. There is a variety of different foods that are not compatible with a dog’s diet. Dogs are usually intolerant to some foods that they should never come in contact with and as an owner, it is your responsibility to make sure that you avoid these foods around your dog. But what are these foods? 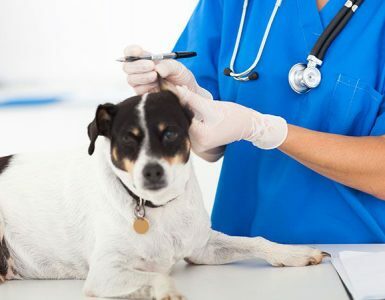 We understand that the idea of your beloved dog falling sick might be very daunting and fearsome which is why we have come up with this article. To help you learn more about these foods which your dog will not be able to tolerate, we have made a list which has all the foods that need to be banned from a dog’s diet. Under no circumstances should you allow your dog to eat these 5 items. So let’s not delay any longer and take a look into the chart. 1. Chocolates: A dog’s metabolism is quite different than other animals and they often cannot process some foods that might be very available around the house. One of the intolerances of dog is chocolate. Yes, you heard it right. It might be a tasty delicacy to you, but it really messes with your dog’s metabolism. When a dog eats chocolate, it releases a substance which is not healthy for the digestion process. This affects their digestion and affects their body’s metabolism extensively, which is why chocolate is almost like poison to a dog and must be avoided at all times. Chocolate is known to have a certain substances that are poisonous to dogs. The substance is known as methylxanthines. It is a type of drug and doesn’t harm humans much. But once your dog consumes it, it will stop their entire metabolism process. This is extremely toxic for your dog’s health and digestion and by no means should you allow your dog anywhere near chocolate. 2. Avocados: It is a staple ingredient that we love to have for our breakfast with eggs and bacon. Nothing could taste better than tasty, creamy avocados for breakfast or maybe as guacamole. But be alert if you have a dog as avocado is equivalent to poison for a dog. Not by any means should you ever let your dog near avocado. Veterinarians strictly suggest that dogs shouldn’t eat avocados. Starting from the skin to the flesh and the pit, avocado tend to contain a chemical substance known as Persin. It is easily digestible by humans and many other animals but the case is different for the dogs. When a dog eats avocados, it releases Persin in their system. Persin is a kind of toxin which can enter the dog’s gut once ingested can cause severe diarrhea. Your dog will go through excruciating pain and vomiting if it manages to eat a slice of avocado from your breakfast plate. Hence, make sure that whenever you have avocados at your house, you keep it in a place where your dogs can’t reach. If you are having avocado for meals, don’t leave your plate idle on the kitchen table. It will take a long time for the dog to overcome severe diarrhea and vomiting and there are extreme cases where it got even worse for the poor animal. So try to avoid this food item around your dog all times. After all, nobody would want to put their dog through the agony and pain, isn’t it? 3. Grapes or raisins: Grapes and raisins are very common fruits that are often present in the house. They are tasty and delicious treats and is used in so many different recipes. It is a favorite of everyone around the house and can be used in so many different recipes and desserts. However, research shows that these are extremely toxic and poisonous for the dogs. grapes or raisins have many good food values that are great for us. But they also tend to contain some chemical which is very harmful to your dog. The toxin present can prove to be deadly for the dog. It doesn’t matter what type of dog you have or which breed, grapes are always a bad idea for these animals. It can harm the dog’s body severely and in many cases, it has been observed that grapes can cause your dog’s kidneys to shut down permanently. If you have grapes or raisins or even grape juice around the house, make sure that your dog goes nowhere near it. Keep this item away from your dog reach so that they cannot even sniff around it. Dogs will chew things that they find and hence it is a bit difficult to eye them all the time, but you can maintain a clear zone and keep these fruits in the refrigerator where your dog will not be able to reach. Your dog’s kidneys will not be able to filter the toxins in the grapes and ultimately fail. This might even lead to the death of the poor animal. Hence, you should never allow your dog anywhere near grapes or raisins. 4. Macadamia nuts: Everybody loves macadamia nuts don’t you? But did you know that it is a very poisonous food for dogs? No matter which breed or gender or age they are, they cannot digest these nuts whatsoever. Macadamia nuts come from the Proteaceae family. Dogs have a very sensitive digestion and consuming macadamia nuts will tend to cause a fatal syndrome in them. If your dog ingests macadamia nuts it will tend to cause severe vomiting followed by ataxia, extreme fever, and weakness. It doesn’t limit to that, these nuts can cause muscle tremors and also severe level depression in dogs. It can be very lethargic to dogs and by all means, you should try to keep it away from them. It is considered to be one of the most poisonous and toxic items that a dog can come in contact with. 5. Onions: It is that one ingredient that we cannot imagine to cook many delicious dishes without. Onions are a staple ingredient in many recipes and are always there in the pantry of your kitchen. As tasty as it makes out foods, it is absolutely a no for your dogs. Dog’s digestion works in different ways than of humans which is why their body has difficulty in absorbing these chemicals which we can easily do. Onions have a chemical in it known as thiosulphate. Thiosulphate is bad for the dogs and can cause severe damage to them. Once they consume onion, it can cause severe level hemolytic anemia. This substance can completely damage the red blood cells in your dog and can be extremely deadly. This chemical substance can reportedly burst into the circulatory system of the dog and cause extensive damage to the poor animal. Always keep onions in a place where your dogs cannot find them. You might not be able to observe your dog 24/7 but you can surely manage to keep away these common food items out of their reach at all times. Onions are pretty common grocery item and are always present at the house, so try to keep it out of reach from your beloved dog. Dogs are sensitive animals are very much intolerant to some foods that we humans can easily process. These l food items are nothing uncommon to any household and present in almost every grocery shopping list. Where we cannot operate without these items, they can practically kill your dog with toxicity. There are several other foods that can harm the dogs but these are the most harmful ones. The risk is greater with these items as they are available around your house. If you can carefully read the list of vegetables and fruits in the above list you will be able to avoid these items from your dog’s diet. As an owner, it is solely your responsibility and duty to protect your dog from anything harmful. You can try to train your dogs to stay away from these food items as well. If you can train their mind to neglect this food at all times, they will grow to learn and do as you say them to and avoid these ingredients. Your dog’s safety is in your hands and hence, try to take all the precautions you can to keep your dog healthy and happy.